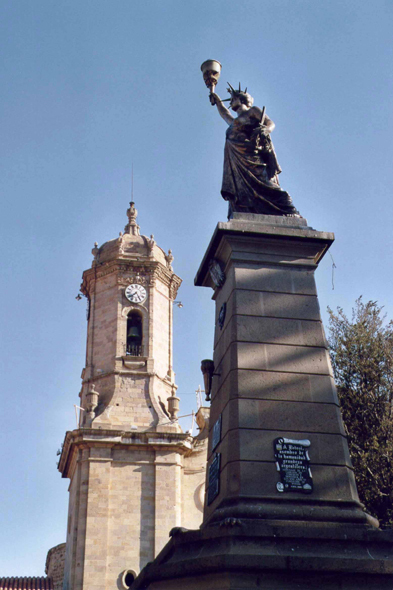 A tower of the cathedral of Potosi. The original building (1572) held until the beginning of XIXth century, then broke down. During its rebuilding (1808-1838), Greek and Spanish neo-classic elements were added to it.